Bengaluru, Jan 25 (IANS): Two detectors, placed 200 metres apart within the campus of Kolkata's Jadavpur University, simultaneously sensed a sudden increase in radon, an intert radioactive gas, oozing out of the ground on April 20, 2015. Five days later -- on April 25 -- Nepal was shaken by the deadly magnitude 7.8 earthquake that killed 9,000 people and injured nearly 22,000. That was not all. The university researchers again observed an enhanced radon emission in both detectors on April 29, 2015. Thirteen days later -- on May 12 -- Nepal experienced an M 7.3 earthquake. The radon gas observed by the twin detectors again peaked on May 29, 2015, which too was followed four weeks later by an M 5.6 earthquake that shook Kokrajhar in Assam, 470 km away from where they were placed. The four-month-long experiment (March-June 2015) observed "anomalous fluctuations" of radon emissions from the soil prior to earthquakes in Nepal and eastern India, indicating that this signal can be used for forecasting impending temblors in a 1,000-km radius from Kolkata, Argha Deb and co-workers report in the Journal of Earth System Science. "Monitoring of pre-seismic geochemical radon signal at Kolkata in the Bengal Basin has been observed successfully," the report says. Radon is produced by the decay of the trace amounts of Uranium present in most rocks in the earth's crust. The gas mostly resides inside solid rocks but, prior to an earthquake, gets squeezed out through micro-fractures caused by the stress-induced expansion of the rocks. According to the report, seismologists around the world have been searching for a possible precursory signal of an impending earthquake. "Among all methods, radon gas monitoring as a pre-seismic geochemical signal has been proved to be very promising." Radon is claimed to be useful as a potential earthquake predictor because it is radioactive. It emits alpha particles that are easily detected with devices, called nuclear track detectors, routinely used by atomic scientists. According to their report, the Jadavpur scientists have been monitoring sub-soil radon gas in the Bengal basin for the last 10 years and have reported several radon anomalies prior to earthquakes. But these investigations were performed with a single detector with chances of detecting "spurious" signals that are due to non-seismic sources. The researchers pointed out that their study, involving simultaneous measurement of soil radon concentration at two nearby locations, ensured detection of "genuine radon anomaly due to seismicity". Theoretical models are available to estimate the magnitude of the earthquake and the distance of the epicenter from where the radon anomaly is detected. They conclude that their observations with the twin detectors has shown that "real-time radon monitoring can be viewed as an interesting possibility for credible earthquake precursors". 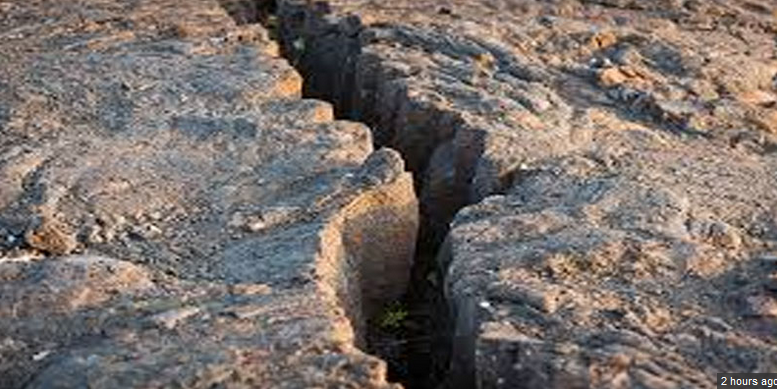 However, Vineet Gahalaut, Director of the National Centre for Seismology of the Ministry of Earth Sciences in New Delhi says he is "not at all" convinced. "You may see radon anomalies corresponding to earthquakes, but I need to convince myself for them to be present before the earthquakes," he told this correspondent in an email. "To me, these anomalies are more like inherent variations in these measurements, arising because of other various reasons."